Which version of "The Unforgiven" do u like best? what is your favoriete song off of reload? what is your favoriete song off of the black album? what is your favoriete song off of kill em' all? metallica's volgende album will be coming spring 2014, do yout hink itll be a testament to the old metallica (in that it'll have their old fashioned thrash style) of will it be like their newer stuff? What do u think about the album Lulu? MYSTERY pony IN SIGHT WICKED OBSESSION KILLS THE NIGHT. EVIL UNICORN WATCH TWILIGHT FLEE pony DAUGHTER ROAMING FREE. FEARLESS WITCH INSANITY TWILIGHT WATCHES RUDE PONIES MAGIC TRICKS FORBIDDEN EQUESTRIA HIDDEN IN SIGHT. LIKE A DUBSTEP QUALITY I'M HEARING muziek INSIDE ME SO HEAR ME SING SO PROUD OH PLEASE FULLFILL ME! IN PONYVILLE THAT MAGIC IS MUCH TOO REAL IN THE PERFORMANCE I GAVE. SO HEAR ME SING SO PROUD OH PLEASE FULLFILL ME! THE SOUND IS NOT OVER FOR ME I WILL BE TRUE AGAIN! I'M WAKING UP WITH RINGING IN MY pony EARS SO HEAR ME SING SO PROUD OH PLEASE FULLFILL ME! 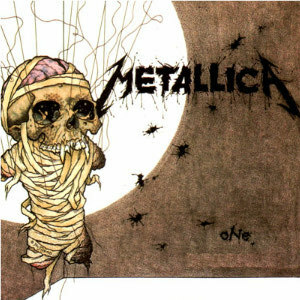 a comment was made to the poll: what is your favoriete metallica video? a reply was made to the forum post: What are u listening right now? This is the cover of which single? What are u listening right now?